I design tools for health equality. In a medical & legal partnership across three organizations, we used human-centered design to engage two Chicago communities effected by social determinants of health—who historically haven’t had a voice at the table. Through our research, we developed a health and legal literacy toolkit. 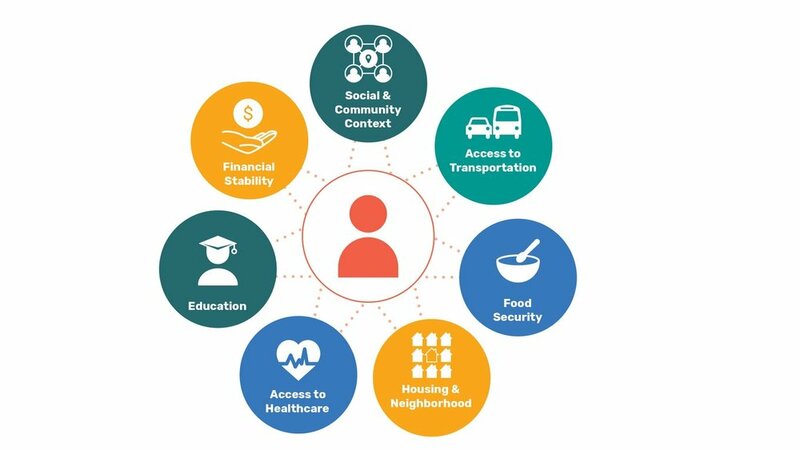 The toolkit was designed to help improve health equity for all community members by building on community assets, addressing community needs, and sharing tools to make systems easier to navigate. We developed diagrams to help us understand different points of view that we heard in the interviews and community conversations. With the community, we created asset maps to understand the great things going on and resources in East Garfield Park and Back of the Yards—two Chicago neighborhoods that are known for their violence. This digram shows the organizations that are directly or indirectly involved with someone's health. 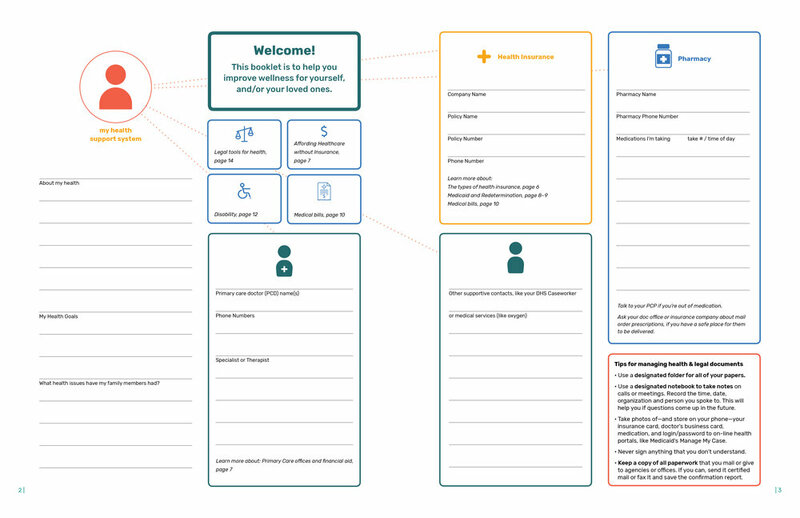 From research, we developed a diagram that shows the multiple points of view of a patient's healthcare needs. We sorted information from our interviews into themes, which became a content outline for what would become a literacy toolkit. The tool kit includes information that fills the system knowledge gaps we uncovered in research. Topics include: health insurance, paying for healthcare, stages of signing up for disabilities, free transportation to medical appointments. We encourage people to be their own advocate. Sample pages of the finished tool kit that will be handed out by community organizations to distribute and for care coordinators and legal aid to use as a tool with their clients. Each box in this is derived from needs we uncovered in our research. People collect their health information into one place which help them stay organized and help service providers understand the whole picture of their patient/client’s health system. Each person's health is unique, and can be part of the much broader issue of social determinants of health. Visiting a doctor or attorney can be overwhelming for people so we share tips on how to prep for a visit. My collaborators Kulsum, Kaitlyn, and I presented the project at the Midwest Medical Legal Partnership conference in 2018. As part of the talk, I lead a human-centered design workshop to teach people about the design process.